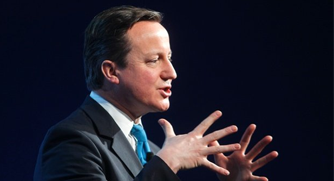 Despite Spain cooking up a media storm over the last few days, David Cameron’s answer over the Gibraltar Sovereignty issue was rather… expected. After a meeting with UK Prime Minister, Spanish Prime Minister, Sr. Mariano Rajoy was told that,’ it is for the people of Gibraltar themselves to determine their future.’ Sr. Rajoy commented to reporters outside No. 10 that both leaders hold different positions but we will talk in the future. 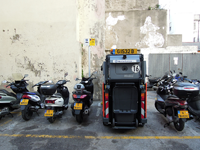 Parking is a salient issue in Gibraltar that doesn’t seem to disappear no matter how many car parks or parking spaces are built and painted. The previous Administration’s introduction of the Highway Enforcement Officers seems to have done nothing to deter drivers from parking wherever they want. But it’s not just car drivers that don’t adhere to the rules… a MasterService electric vehicle took up two motorbike parking spaces this morning along the Engineer’s Lane parking area which had been visited by two Highway Enforcement Officers only minutes before and had not given the offending vehicle a ticket. 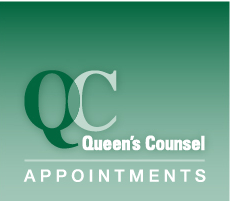 His Excellency, the Governor, Sir Adrian Johns, has appointed the following to the Queen’s Counsel: Robert Vasquez, Mark Isola, Keith Azopardi, Gilbert Licudi, Michael Llamas and Gillian Maria Guzman. The YGTV Daily Gibraltar News Video for Feb 21, presented by Georgina White. The Government has issued a scathing retort against the GSD’s statement, which explained the issue of payments made to family interests of a GSD Minister. The GSD’s report accused the Government of ‘abuse of power and trying to orchestrate a witch-hunt’. ‘The original statement issued by the GSLP/Liberal Government, far from being an abuse or a witch-hunt, concentrated simply on the facts and on the value for money aspect of the transactions in question,’ The Government statement noted. Feb 21 University to be Set up in Gibraltar? 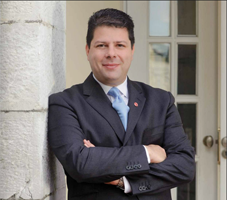 University to be Set up in Gibraltar? Liberal Democrat Deputy Leader, Mr. Simon Hughes visited Gibraltar late last week. In a meeting with the Chief Minister late last week the subject of Gibraltar University was discussed. The University of London has apparently expressed interest in setting up in Gibraltar. In the Gibraltar Senior Citizens Association’s latest newsletter they warn the public of bus pickpockets. The RGP has intervened on an establishment in Ocean Village that is licensed to sell alcohol. It was discovered that the shop was selling alcoholic drinks to an under-aged person. At 6.25pm on Friday 17th February 2012, a 14-year-old boy was seen by the Police, leaving the premises. The boy was carrying a bottle of vodka, which had been purchased at the premises. The owner of the shop has been reported for process for the offence of selling alcohol to a person under the ages of 18. A prosecution case is expected in due course. Spain’s Prime Minister, Mariano Rajoy is expected today to ask UK Prime Minister, David Cameron, to join a revitalised bilateral process on talks over Gibraltar’s Sovereignty. 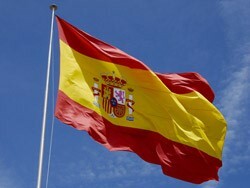 It has been suggested that Mr. Rajoy will demand a constructive dialogue’ be reopened on the subject of Gibraltar. The YGTV Daily Gibraltar News Video for Feb 20, presented by Georgina White. The GSD has responded to the latest statement by the Government relating to transactions between the previous Government and family interests of the wife of ex-Minister Edwin Reyes. A press release this afternoon stated, this just the latest example in an obvious strategy by the Government to “drip feed” innuendo of impropriety to tarnish the GSD Government. This is what Dr Garcia’s father’s newspaper, the Panorama, calls “lighting the stove”.